The Times of London now has the video clips up HERE. Is this a sign for a new attack? Reuters also has a condensed version of the Atta clips that is easier to open HERE. 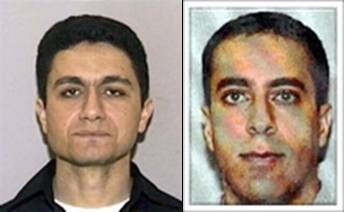 A previously unseen video made by Mohamed Atta, ringleader of the Sept. 11, 2001 attacks on the United States, has been obtained by Britain’s The Sunday Times, the newspaper reported Saturday. In editions available late Saturday, the paper said it had been handed the so-called martyrdom video, but did not reveal the source of the tape. It reported that Atta was filmed reading a document marked in Arabic as a will as he sat beside fellow hijacker Ziad Jarrah who seized control of United Airlines flight 93, which crashed into a field in Shanksville, Pa. The newspaper said that a timecode stamp on the videotape indicated it had been recorded on January 18, 2000 and the recording was made at an al-Qaida training camp in Afghanistan. AllahPundit is covering the story and has video of a previous Al Qaeda release. Kim Priestap at Wizbang has more on this latest release. Counterterrorism Blog has a must see examination of the stills from the Atta video.